Captivating on the skills of our professionals, we are involved in rendering Water Dispenser Rental Service. We repair all types of dispenser.You can guidance from us via phone contact. Service description: We are instrumental in offering Water Dispenser Repairing Service. Our services are extremely client-centric and have helped us garner a huge customer base in the market. For rendering the operation of maintenance service, we make use of sophisticated tools and equipment. Our expertise in this field enables us to deliver a highly reliable service to the clients. 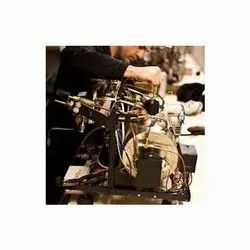 We are amid one of the treasured business names readily engrossed in rendering Cool Water Dispenser Repairing .Implemented beneath the supervision of deft executives, these services are broadly valued and acclaimed. Moreover, our executives spend some-time with our clients to know to their desires in the best possible manner. also commonly referred to as a water fountain or drinking fountain, a small tank in the machine holds chilled water so the user does not have to wait for chilled water. There are also smaller versions of the water dispensers where the dispenser can be placed directly on top of a table for serving a smaller number of people. Under this category we offer water dispenser Repairing and Maintenance. Our company offers spare parts as well as services to upgrade your water dispenser system. We have a wide pool of service assistants who render their support as per the requirement of the equipment, thereby providing clean water. We cover all leading brands of water dispensers such as Croma, Voltas, Kenstar, Usha, Atlantis, etc. We are specialist in Chinese make. We are a well-known organization in the industry to provide the best quality of Water Dispenser Repairing Services.